The second annual “Spinning a Web of Leaders Bike Ride” takes off from Long Island, NY this Saturday, with former NHL player and current NHLPA divisional representative Steve Webb jumping back on his bike for a 9-day, 650 mile trip to help raise money for his W20 Foundation, which benefits students of Long Island by providing them with educational grants and scholarships. Also, a big portion of the money raised will also go towards researching a cure for Alzheimer's and dementia, a cause Webb has taken interest in more and more recently, as studies continue to provide evidence to the dangers and effects of brain trauma that professional athletes suffer from following their careers. This year's trip will be starting in the city where Webb spent the majority of his NHL career and ending in his hometown of Peterborough, ON. Webb, and the group traveling with him, will average 77 miles per day over terrain that will challenge them with more than a few treacherous hills and valleys along the way. Having launched his W20 Foundation in 2007, the “Spinning a Web of Leaders Bike Ride” is quickly becoming a signature annual event for Webb and his foundation, having raised just under $10,000 last year and hoping to build on that this time around. No major facelift was in order from last year's event, but there will be a few changes that Webb describes as providing some new challenges to make things interesting. The crew will also be aiming to arrive within a two-hour window that would see them end their trip during a Peterborough Petes season-ticket holder BBQ on the 19th of September at the Memorial Centre. A proud alumni of the Petes, Webb was invited by the team's general manager Dave Reid and assistant coaches Jody Hull and Ron Tugnutt, all former NHL players themselves, to ride into the function and finish their trip there. Webb has recruited some other former Petes players, including John Druce, to join him on the last leg of the trip. After having a few companions for various stages of his ride last year, a group that included some NHLPA staffers, Webb is once again being joined by some good friends for support and participation. Joining him for the entire trip will be TSN's Dan O'Toole, a long-time friend of Webb from their days growing up together in Peterborough, and Ryan Leal, Webb's cousin from Milton, ON. 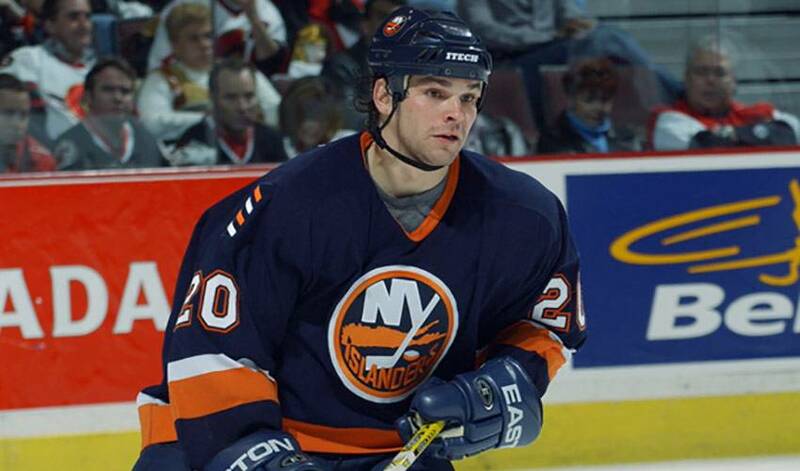 Randy Carr, Webb's brother-in-law will begin the trip and then re-join them in Niagara to take part in the finish, while several former Islanders, such as Bob Nystrom and Pat LaFontaine, will begin with the group in Long Island and ride with them to Central Park. Also new to this year's event will be the services provided by another old acquaintance of Webb's from Peterborough, personal trainer Mike “Spike” McCormick, whose clients include current NHLPA members Mike Fisher of the Ottawa Senators and Kurtis Foster of the Edmonton Oilers. McCormick will be monitoring the group's nutrition and energy intake and output, offering his expertise on how they can perform at their best during the 9-day trip. In training since July, with three to four rides a week and mixing in the odd five-ride week, there appears to be an increased level of preparation and experience for Webb this year. Not that there was none last year, but there was a sense of trepidation of someone who was not quite sure what he was in for. Having gone through it last year and now knowing what completing the ride takes, Webb has certainly laid out a good plan for himself and the new faces that will be biking along with him. Speaking at length about “more effective and purposeful miles and training techniques”, energy preservation and proper pedaling, Webb sounded like he was not only aware of the challenges he would be facing, but also, the best plan to tackle them. With 650 miles ahead of him and nine days to complete them, the margin for error is slim, but with a great cause and support from his friends riding beside him the whole way, look for the 2nd annual “Spinning a Web of Leaders Bike Ride” to provide plenty of reasons to have a third next September.